The benefits of outdoor lighting include immense aesthetic appeal and increased home value and safety. How much do you know about outdoor lighting? Are you starting to wonder how outdoor lighting could benefit your home? You’ve come to the right place! 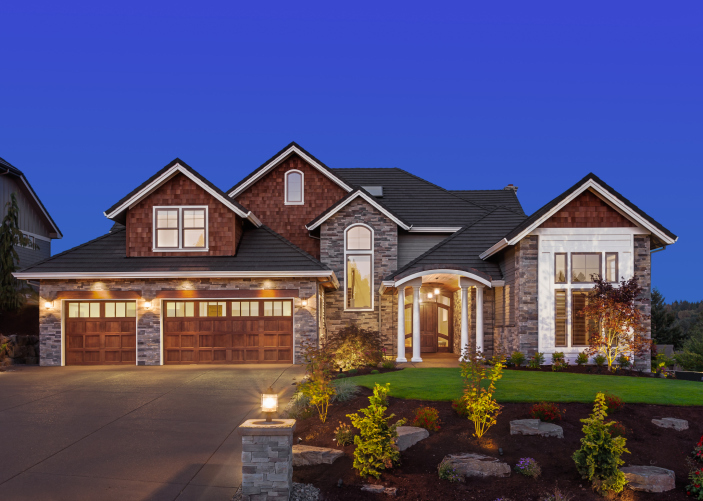 Atlantic Maintenance Group is here to fill you in on everything you need to know about the benefits of outdoor lighting. Let’s talk about it. Benefits of Outdoor Lighting: Let There Be Light! The most obvious benefit of implementing outdoor lighting is – you guessed it – the increase in light. Does your property seem too dark in the evening for your liking? Is it difficult for you to identify objects in your path when traveling to and from your vehicle or mailbox in the evening? Do guests constantly get lost and accidentally drive by your home because it isn’t visible enough from the street? Outdoor lighting is a great way to fix all of these issues and more. Outdoor lighting is a great method to use for accentuating and highlighting the best features of your property. Do you love the new shutters you got installed? Do you have landscaping properties like retaining walls, flower beds or walkways that you want to draw more attention to? Not only can you achieve that with outdoor lighting, but you can integrate it beautifully without going overboard – a seamless solution! If you are one of the people we mentioned earlier who have trouble identifying objects that may be in your path when you are walking on your property late at night – outdoor lighting especially benefits you. Walking around property in the dark without a clear indication of a designated, well-lit walkway is hazardous to both you, your family and visiting guests. How would you feel if your Grandmother came to visit and tripped en route to your entryway, injuring herself? These kinds of injuries are avoidable. Take action to increase the safety of your home, which in turn, increases its curb appeal and value. Mother nature can cause roof damage, sometimes without warning. Whether minor or major repairs are required Expert advice, contracting services, and care are key in maintaining the integrity of your roof year round. Let us help you keep a roof over your head and see to all of your home improvement needs. The Atlantic Maintenance Group offers quality landscape, asphalt, snow removal and concrete maintenance services. We have the expertise to help meet all of your needs. Click here for a free quote today, give us a call at 410-768-4720 or contact us via our website to start planning for your commercial snow removal needs. This entry was posted on Friday, February 26th, 2016	at 4:39 am	and is filed under Blog	. You can follow any responses to this entry through the RSS 2.0	feed. Both comments and pings are currently closed.